I can't believe the Big Football Game will be here in Atlanta before we know it! It's about to be madness with a sea of people all around! I have been riding around Atlanta seeing workers preparing for the game; also I have been seeing Pepsi with their sharky signs around town letting their presence known that they'll be here in Atlanta soon too, invading Coca-Cola's territory. If you don't know by now, Atlanta is the birthplace of Coca-Cola when the first soda fountain opened its doors in 1886. As tens of thousands of Atlantans and visiting football fans get pumped for this year’s Big Game, World of Coca-Cola invites everyone to join in a variety of family-friendly pregame activities at their downtown attraction. You got to have a taste of the real thing! Forget Pepsi! Humph! 1. What better way to kick off the Big Game weekend than hanging with NFL legends? On Friday, Feb. , World of Coca-Cola will host a “Champions Chat” featuring none other than“Mean” Joe Greene and Carl Banks, moderated by Desmond Howard. Fans won’t want to miss these three former NFL champions swapping stories from the glory days, commenting on this year’s match-up and answering questions from the audience. The event will take place from 2:15 to 3 p.m. and is free with general admission tickets to the attraction. 2. There aren’t many combinations more classic than Coke and football. In celebration of this year’s Big Game, a special, limited-time exhibit showcases footballs, jerseys, ads and other items from the Coca-Cola Archives. Speaking of iconic, this year marks the 40th anniversary of the “Mean” Joe Greene Coca-Cola commercial, which is playing in the exhibit. 3. Fans looking for a true taste of Coca-Cola and football are in luck. Coca-Cola Game Day Magic and Coca-Cola Zero Game Day Magic will be available for a limited time on Coca-Cola Freestyle in the Taste It! Beverage Lounge. 4. On Feb. 1 and 2, football fans can capture the moment by snapping a group shot in an interactive, football-themed photo opp. Not only will they walk away with free printed images – they can also share their experience instantly on social media. Photos posted using #WorldofCocaCola could even be featured on the attraction’s website or social channels. 5. On their way out, guests can stop by the Coca-Cola Store to purchase a commemorative Coca-Cola aluminum bottle – either to open and enjoy or to save as a souvenir, proving they were in town for the 2019 Big Game. An integral part of downtown Atlanta’s fabric for more than 25 years, World of Coca‑Cola has welcomed guests from six continents, more than 100 countries, all 50 U.S. states and the District of Columbia. Join over 25 million people who have visited the Atlanta attraction and experience the history of the world's most famous beverage brand at the dynamic, multimedia home of the 132-year-old secret formula for Coca‑Cola. Get closer than ever before to the vault containing the secret recipe, view more than 1,200 historic artifacts and get a behind-the-scenes look at the bottling process. 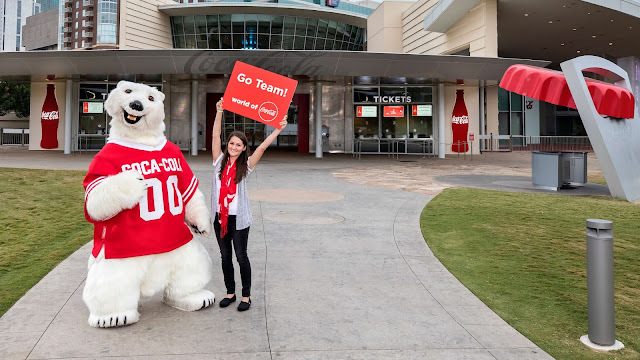 Take a trip around the world in a thrilling 4-D movie experience, take a photo with the Coca-Cola Polar Bear and tempt your taste buds with more than 100 beverages from around the globe. 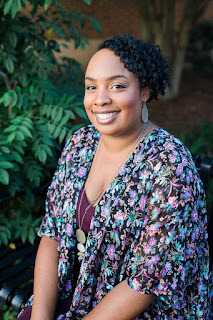 Are you looking for more things to do in Atlanta? Check out this post. Will you be in Atlanta for the Big Game? I still have not been yet! It sounds like so much fun! You need to go Sis! It's a place to visit at least once. My favorite part is trying all the Cola drinks from around the world. You are going to have a blast. We had so much fun when the Superbowl was in town. I can't wait to see what events you go to.